We’d love your help. Let us know what’s wrong with this preview of Please Look After Mom by Kyung-Sook Shin. An international sensation and a bestseller that has sold over 1.5 million copies author's Korea, Please Look After Mom is a stunning, deeply moving story of a family's search for their missing mother - and their discovery of the desires, heartaches and secrets they never realized she harbored within. When sixty-nine year old So-nyo is separated from her husband among the c An international sensation and a bestseller that has sold over 1.5 million copies author's Korea, Please Look After Mom is a stunning, deeply moving story of a family's search for their missing mother - and their discovery of the desires, heartaches and secrets they never realized she harbored within. 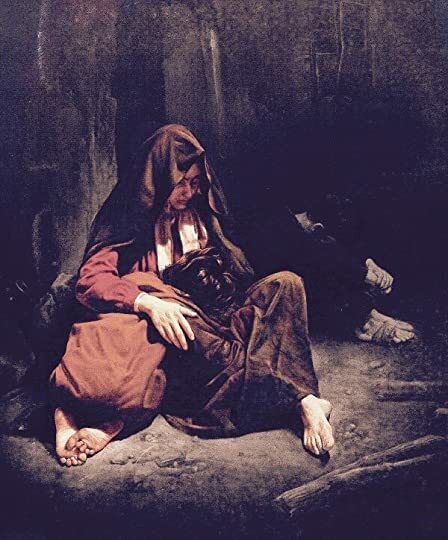 When sixty-nine year old So-nyo is separated from her husband among the crowds of the Seoul subway station, and vanishes, their children are consumed with loud recriminations, and are awash in sorrow and guilt. As they argue over the "Missing" flyers they are posting throughout the city - how large of a reward to offer, the best way to phrase the text - they realize that none of them have a recent photograph of Mom. Soon a larger question emerges: do they really know the woman they called Mom? Told by the alternating voices of Mom's daughter, son, her husband and, in the shattering conclusion, by Mom herself, the novel pieces together, Rashomon-style, a life that appears ordinary but is anything but. 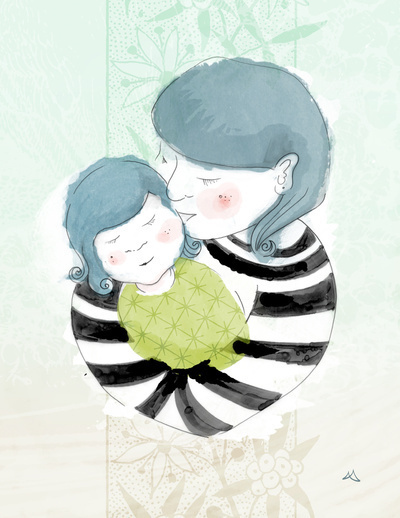 To ask other readers questions about Please Look After Mom, please sign up. how to start reading ? and can i download books from this web ? Cavak I suppose that's one way of looking at it. She was barely coherent though, so I wouldn't say it was as intentional as that. الرواية تدور حول ثلاث محاور رئيسية ، الوحدة و الأنانية والفراق ..
قصة مايكل أنجلو و ألمه وهو يتطاول لتزيين سقف كنيسة السيستين ، تحمل رمزية رائعة..
فقد نكون يوما سقفا عاليا ، كسقف الكنيسة هذا..
لكن أقل شأنا منه . حينما يحدث أمر يمكن أن يقع للجميع ولا تظن أنه سيحدث لك. انظر لهؤلاء المشردين بالتأكيد كانت لهم أسر وجدران حامية وأوقات لطيفة وأحباب يحنون عليهم وضعاف يتمسحون بهم ومريد يلجأ إليهم طالبًا النصح وناشدًا الحكمة. ها هم يفتحون الأبواب المغلقة واللحظات الموصلة وقماقم الأشباح المنسية ويرون وجوههم الحقيقية الكئيبة في مرايا مصابيح خابية الوهج. وكأن الكاتبة داخل الرواية تقف مبتهلة أمام أم حضارية أخرى في أوروبا بعد أن نشأ جيل جديد من أبناء آسيا في أمريكا. وسير أهلها الغائبين عن الوعي بمسئوليتهم تجاه ثقافة تكوينهم. Powerful and unforgettable! I actually believe this book has changed me or at least opened my eyes to my own level of participation (and shortcomings) in my relationships. This amazing story will rip you to shreds and force you to face difficult questions about your own relationships--not just with your mom but with all those people who claim a piece of your life and heart: "Who are these people who love me so much?" "Why do I take their very existence for granted?" "Do any of these people really Powerful and unforgettable! I actually believe this book has changed me or at least opened my eyes to my own level of participation (and shortcomings) in my relationships. This amazing story will rip you to shreds and force you to face difficult questions about your own relationships--not just with your mom but with all those people who claim a piece of your life and heart: "Who are these people who love me so much?" "Why do I take their very existence for granted?" "Do any of these people really know me?" These are hard questions, and this short book is a warning to you to ask these questions when you still have a chance to answer them! You might think you have a strong and open relationship with your mom, dad, sister, spouse, etc., but you can always do more. This story makes you realize that you should take the time to know those you love and also allow them to know you! This is not the sort of book I read, and I’d be lying if I said the Korean name on the cover didn’t play a part in getting me to crack the spine; I tend to give passes to stories I think are lame when they come from Asian countries, it’s just where my own cultural preferences lie. Even still the story, about a family dealing with the disappearance of their mother in a Seoul subway station, would normally have been a little too ‘old lady book club’ for me. But one detail of the plot, a minor poin This is not the sort of book I read, and I’d be lying if I said the Korean name on the cover didn’t play a part in getting me to crack the spine; I tend to give passes to stories I think are lame when they come from Asian countries, it’s just where my own cultural preferences lie. Even still the story, about a family dealing with the disappearance of their mother in a Seoul subway station, would normally have been a little too ‘old lady book club’ for me. But one detail of the plot, a minor point highlighted on the jacket description, pulled me in: as the family gathers to make missing person flyers to distribute, the missing mother’s children realize they have no recent photos of her. How heartbreaking is that? So that little detail got me in the door, since so much of my own [never finished] creative work is concerned with our inability to ever really know another person, and whether that deficiency is really a deficiency at all, or instead an impossible standard we’ve all been convinced to aspire to? PLAM deals with these concerns by the shovelful, as the other family members look back on their relationship with their mother/wife, re-examining shared moments under the colored light cast by her absence. Shin’s big gamble with the book is her narrative technique, primarily telling the story through second-person voice [when your mother disappeared, you stood outside the station and handed out flyers with your brother and his wife]. It’s a risky move, creative writing teachers usually brandish flaming swords to discourage students from using due to the difficulty in maintaining consistency, but Shin keeps it engaging about 75 per cent of the time. But 75 per cent is not 100 per cent [I rock math!] and unfortunately the book suffers from its shifting perspectives. Similar to Egan’s ‘Visit From the Goon Squad,’ the problem with the shifting voices is if you like one narrator, you might not ever hear them again. This isn’t as much of a deficiency in PLAM as in ‘Goon Squad,’ only because none of the narrators are that exceptional: I probably preferred the writer daughter to the oldest son, but neither of them are exactly vivd or colorful, a fact I might attribute to the somewhat flat prose of Asian authors when translated to English. PLAM isn’t a bad book, by any means, but I think it might have more to say about the mother/daughter relationship than the mother/son. Ultimately, it’s a book about the moment when children start to see their parents as individuals, something other than ‘Mom’ or ‘Dad.’ It’s a story worth telling, but I think it would have resonated better with me in a story written by an native English speaker. There were many times, moments related to Korean holidays or family memorial altars, where the significance just whooshed past my head, and despite it’s book club-friendly subject matter, I can see it being a hard sell to those members of my clientele. The prose lacks the florid prose that typically fills such books. And that’s a shame, since I think there’s a lot that crowd could get out of it, but they’re a stubborn bunch in my experience.
" إننا نتعامل مع الأم وكأنها كائن لا يمرض "
هل لمجردانك تعيش في بيت واحد مع عائلتك يجعلك تعرفهم جيدا؟!! هل تعجبهم الحياه هنا ؟! هل لو اتيحت لهم الفرصه للسفر الي اي بلد سيسافرون ... ؟! هل تعرف اجابات لتلك الاسئله ؟! 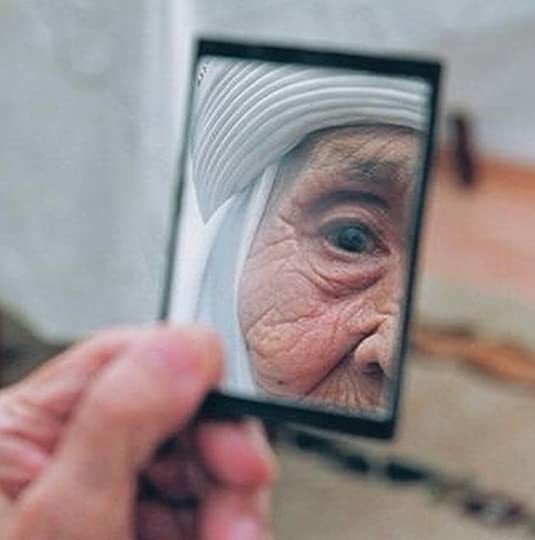 وعندما تنظر الي تلك الاسئله تجدها بسيطه جدا ولكنك لن تعرف اجابتهم ...! Wow, that was bizarre and bad. What starts out as an interesting family novel turns into an extended hagiography of "Mom", a woman so amazingly selfless and nurturing that puppies, ducklings, fields and orphans spring into worshipful life around her -- only her callous children and faithless husband don't see the value of this woman, who secretly feeds the poor, delivers the baby of a man who stole from her, sleeps in the cold, and donates her old-age mite to orphans. She is so selfless that -- Wow, that was bizarre and bad. What starts out as an interesting family novel turns into an extended hagiography of "Mom", a woman so amazingly selfless and nurturing that puppies, ducklings, fields and orphans spring into worshipful life around her -- only her callous children and faithless husband don't see the value of this woman, who secretly feeds the poor, delivers the baby of a man who stole from her, sleeps in the cold, and donates her old-age mite to orphans. She is so selfless that -- despite being plagued (literally) by a host of illnesses from mysterious stomach trouble to cancer to (apparently) Alzheimer's -- she never even agrees to take medicine or go to the hospital. She is Super-Mom, the epitome of "never mind, I'll just sit in the dark", and so annoyingly perfect and cloyingly abject that if she were your Mom, you'd be speaking as sharply to her as her children and husband do. But never fear, in Shin's world, these children will rue for eternity those sharp words. Even the perfect 2nd daughter is racked by endless guilt and wants to stick her head in a dirt hole b/c she failed to plant a persimmon tree in the spot that Mom told her to (really). Speaking of the 2nd daughter, one of the most gratingly retrograde and black/white aspects of this book is that the only person in the family who is kind to Mom (so kind she buys her a mink coat with her first paycheck!) is the 2nd daughter, a stay-at-home Mom to 3 children, so selfless in her own right that she wears mis-matched socks and collapses in motherly exhaustion. This book does not deal in nuance! By contrast, the careerist, not-married, older daughter is -- you guessed it -- mean to Mom, and Dad!, drinks too much, and therefore is to blame for most things in the world. A final complaint -- and in a book so thematically irksome, this is really trivia -- the family structure and timeline do not hold together. There are supposedly 5 children, but the two younger sons are almost invisible and the repeated depictions of family life when the protganists are children never involve the younger children. The eldest son is said to be over 50, yet the eldest daughter (the middle child of the 5) is said to be in her thirties -- this could work, except that they are repeatedly described as being young children together. Similarly, the elder and younger daughter are apparently close in age, but the childhood scenes never involve any interaction between the sisters. When the three oldest have moved to Seoul, Mom is described as having nothing to live for back in the countryside, which is odd as presumably she had two young children back at home. This just seems sloppy in the extreme. Đây là cảm nhận dựa trên bản dịch tiếng Việt. Nghe nói bản tiếng Anh và bản tiếng Hàn chính gốc thì hay kinh khủng và rất khác bản tiếng Việt. Một cuốn truyện được giới thiệu bởi một anh làm xuất bản mà mình quý. Và mới đọc đã thấy thích rồi. Truyện cứ như nói hộ lòng mình ấy. Những mâu thuẫn, cãi nhau vì bao nhiêu chuyện vặt vãnh giữa mẹ và con gái, những tình cảm ẩn sâu không dễ lộ thành lời, cái yêu thương kỳ lạ giữa những người trong gia đình, mọi thứ được mô tả sống động và cụ thể, cứ như hi Đây là cảm nhận dựa trên bản dịch tiếng Việt. Nghe nói bản tiếng Anh và bản tiếng Hàn chính gốc thì hay kinh khủng và rất khác bản tiếng Việt. Một cuốn truyện được giới thiệu bởi một anh làm xuất bản mà mình quý. Và mới đọc đã thấy thích rồi. Truyện cứ như nói hộ lòng mình ấy. Những mâu thuẫn, cãi nhau vì bao nhiêu chuyện vặt vãnh giữa mẹ và con gái, những tình cảm ẩn sâu không dễ lộ thành lời, cái yêu thương kỳ lạ giữa những người trong gia đình, mọi thứ được mô tả sống động và cụ thể, cứ như hiển hiện trước mắt người ta vậy. Đọc và chảy nước mắt, và nhớ tới má, nhớ da diết, và thấy mình là một đứa con có lỗi biết bao. Có lẽ ai đọc quyển này cũng thấp thoáng thấy bóng dáng của mình và mẹ mình trong đó. Nói như vậy để thấy rằng người viết rất có tài, kỹ thuật viết rất tốt, chắt lọc chất liệu từng chút từng chút một, những chi tiết nhỏ xíu mà gợi lên bao nhiêu điều không nói, và những chi tiết chân thực đến nỗi như là người viết đã đi vào trí nhớ của người đọc mà lôi ra những mẩu ký ức tuổi thơ vậy, cứ như đọc lại nhật ký của bản thân mình, khiến họ không khỏi giật mình nhớ lại những ngày xưa cũ, mình cũng đã từng làm thế, nói thế với mẹ mình. Một quyển truyện về tình cảm gia đình, nhưng không chỉ gói gọn trong đó. Điều có lẽ khiến quyển sách này được đón nhận nồng nhiệt đến vậy là từ câu chuyện của một bà mẹ nó viết về câu chuyện của hàng triệu người mẹ, câu chuyện của một người phụ nữ trở thành câu chuyện về thân phậncon người, câu chuyện của một gia đình cho thấy bối cảnh xã hội trong cả một thời kỳ, với những giá trị lần lượt bị thay thế và đánh đổi, với những câu hỏi về cuộc sống và mối quan hệ giữa người với người. Tutto ruota attorno alla figura di una donna di 69 anni: una contadina, vera campagnola, che si potrebbe definire forte e tenace, ma a me sembra essenzialmente ostinata e caparbia. Il suo essere madre e moglie viene ben prima del suo essere donna: tendo a pensare che con il marito si sia congiunta solo le volte necessarie a partorire i quattro figli più il quinto morto prematuro. È sempre stato il pilastro della sua famiglia, nella quale ha investito tutta se stessa, ha servito e accudito i suoi cari per tutta la vita. Un giorno insieme al marito si reca a Seul per visitare i figli che lì risiedono: alla stazione della metropolitana, però, la folla li separa, l’uomo sale sul vagone, le porte si chiudono, la donna rimane a terra. Da quel momento sparisce, e non riappare più. I figli la cercano, manifesti e annunci sul giornale, molti sostengono d’averla vista vagare, ma la donna è scomparsa e non riappare più. In verità ho raccontato la trama nel senso inverso a come la propone Kyung-Sook Shin: il romanzo parte con la donna che si è appena persa – tutto il resto emerge man mano. La sua sparizione scoperchia il classico vaso di Pandora: peccato che all’interno ci sia soprattutto senso di colpa e rimorso, sigh, sentimenti che non servono granché, non aiutano ad agire, inquinano, fiaccano. Guastano persino il piacere della lettura. Possibile che siano stati tutti così ciechi da non capire che perla avevano accanto?! E quindi, a turno, i figli, cominciando da quella che fa la scrittrice, poi il maggiore, dopo la minore che è farmacista, poi il marito, ripercorrono con la memoria tutti i ricordi che riguardano la loro madre, e moglie, scomparsa. Oh, non so dove fermare questi ricordi, i ricordi che spuntano dappertutto come germogli di primavera. Sta ritornando tutto quello che avevo scordato. Veniamo a sapere che la donna è analfabeta e si faceva leggere ad alta voce i libri scritti dalla figlia. Che prestava volontariato per un’associazione al servizio di anziani. Eccetera. La vera chicca appare nell’ultima parte, quel capitolo in cui è la donna scomparsa a parlare in prima persona: aveva un’amicizia maschile tenuta nascosta, un uomo che era l’unico a capirla e apprezzarla, amico, mai amante. Così lo descrive la donna: Eri il mio peccato, e la mia felicità. Una cosa bella, preziosa, che secondo me rende la donna meno appiattita nel suo servilismo familiare. Un aspetto importante del romanzo è il perché (molto probabilmente) la madre scompare, si perde nella folla, e poi nella metropoli. Da tempo soffriva di mal di testa, afflitta da stati confusionali, e, ovviamente, testarda e caparbia com’è, ha sottovalutato il problema, si è rifiutata di farsi visitare. Si tratta presumibilmente di Alzheimer, quella malattia che è diventata tratto caratteristico del nostro invecchiare: viviamo ormai troppo a lungo, oppure è un morbo che è sempre esistito e solo adesso sappiamo riconoscerlo, o ancora, è conseguenza del nostro tempo, del nostro stile di vita? Ecco perché ho menzionato nel titolo quel magnifico racconto di Alice Munro su una donna afflitta dall’Alzheimer che ha generato un bel film dell’attrice-regista canadese Sarah Polley, Lontano da lei, con Julie Christie e Gordon Pinsent. 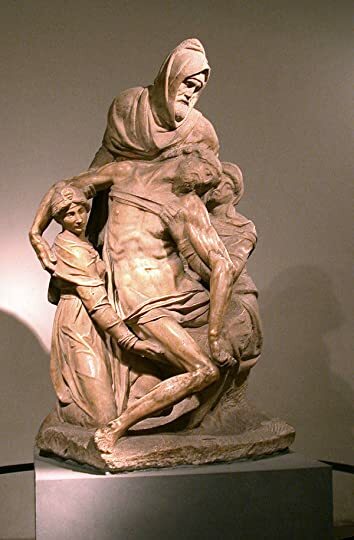 Michelangelo: Pietà Rondanini (Castello Sforzesco, Milano). Ultima opera di Michelangelo, vi lavorò fino alla morte. Questo romanzo ha qualche problema, per questo non riesco a esserne entusiasta. Kyung-Sook Shin racconta in prima persona singolare (la madre), in terza (il figlio maggiore) e in seconda (le due figlie e il marito). Il tu predomina, ma è un tu che genera problemi. Il tu si usa soprattutto in pubblicità, capita di trovarlo nei videogame, nei librogame e nei giochi di ruolo. È meno frequente in letteratura, dove si adopera più che altro nei titoli (“Non ti muovere”, “Piangi pure”, “Stringimi prima che arrivi la notte”, “Non volare via”, “Chiedi alla strada” “Va dove ti porta il cuore”). Nella narrativa lo si adotta essenzialmente per coinvolgere di più il lettore, per sfondare la parete-libro, per accorciare le distanze, quel tu dovrei essere io, dovremmo essere tutti noi lettori, dovrebbe farci diventare protagonisti. [Curiosità: su Facebook esiste, ma credo che non ci sia più, un gruppo chiamato “Scrittori che danno del tu”]. Bene, tutto questo però in “Prenditi cura di lei” secondo me non succede. Non succede per diverse ragioni. Un po’ per via della distanza culturale (riti religiosi insoliti, abitudini distanti da noi come per esempio non chiamarsi per nome di battesimo ma ‘fratello’ o ‘sorella’). Un po’ perché la scrittura di Kyung-Sook Shin si frantuma e spezza nei ricordi dei vari personaggi, che procedono erratici, vagabondi, disarticolati, senza un filo, secondo un disegno che ci mette del tempo a emergere, rivela più che raccontare. Un po’ perché la scrittura-ricordo procede a un ritmo dolce, ma anche lento. Un po’ perché si parla molto di cibo, ma mancano le spezie: il cibo e tutto quanto sembra immersi nel grigio, la mestizia avvolge ogni cosa, è il tono che domina. Poi, alla fine, la figlia scrittrice viene in visita a Roma, al Vaticano, e da quella strana religione coreana si passa a quella strana religione cattolica (sì, proprio quella dove ci sono madri che partoriscono senza uomini, donne che rimangono vergini anche dopo aver partorito uno o più di uno, dipende dalle interpretazioni, padri che fanno torturare e uccidere il figlio per massimo gesto d’amore…), e a quel punto è chiaro che è tardi per prendersi cura di lei, visto che lei è proprio scomparsa, e mai più riapparsa, e visto che lei è quella che si è presa cura di tutti. 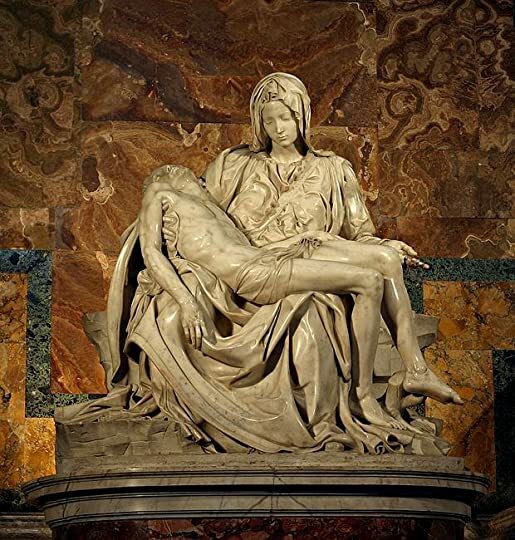 Come una Pietà michelangiolesca. هذه القصة كانت فاتحة خير فيما يتعلق بالحكم الاولي على الاعمال الكورية بالنسبة لي. Wow....wait, I need to capitalize this: WOW...This story took me through an emotional roller coaster that reminded me of all my personal shortcomings in the relationship department with my own family and my Mom. The last time I was this wrecked was when my father passed away of cancer 2 years ago. The story begins when the 70-year old mother of a family disappears from a Seoul train station. The family, 5 grown children and her husband, is desperate to find her and yet, on the other hand, are bla Wow....wait, I need to capitalize this: WOW...This story took me through an emotional roller coaster that reminded me of all my personal shortcomings in the relationship department with my own family and my Mom. The last time I was this wrecked was when my father passed away of cancer 2 years ago. "You were the one who always hung up first. You would say, "Mom, I'll call you back," and then you didn't. You didn't have time to sit and listen to everything your Mom had to say..."
"Mom was the kitchen and the kitchen was Mom. You never wondered, did Mom like being in the kitchen?" A beautiful story about the small but heroic sacrifices made by a Korean mother for her family, and the lack of recognition her family gave her until the day she goes missing on the city subway. The second person narratives - while a little disconcerting at times - allow each of her children, her husband, and finally the mother herself to share their own experience of her disappearance, and the memories it recalls about their lives before. Those who have traveled in Southeast Asia – and Korea in particular -- will know right away that the number 4 (pinyin sì) is considered unlucky because it sounds like “death” (pinyin sǐ). Why, then, did Korean author Kyung-sook Shin carefully craft a novel from four different viewpoints? The answer is that the members of this family are unlucky, or at the very least, careless. Through years as a family, none of them ever really knew Mom or understood the sources of her strength. And now she has d Those who have traveled in Southeast Asia – and Korea in particular -- will know right away that the number 4 (pinyin sì) is considered unlucky because it sounds like “death” (pinyin sǐ). Why, then, did Korean author Kyung-sook Shin carefully craft a novel from four different viewpoints? The answer is that the members of this family are unlucky, or at the very least, careless. Through years as a family, none of them ever really knew Mom or understood the sources of her strength. And now she has disappeared in a crowded Seoul subway station, where she and her husband of 50 years were about to board a train. Her disappearance devastates those who are left behind. The story is told from four alternating points of view: Chi-hon, the oldest daughter and a successful novelist, Hyung-chol, the oldest son who is wracked with guilt for not living up to his potential, her husband who inevitably disappointed Mom through his selfishness and adultery, and last of all, Mom. Little by little, a fuller image of Mom emerges, although we, the readers, never really get to know all the facets of Mom either. Chi-hon reflects, “Either a mother and daughter know each other very well, or they are strangers…You realized you’d become a stranger as you watched Mom try to conceal her messy everyday life.” As Chi-hon strives to sort out who her Mom really was, she realizes that, “…because of one thing or another you would push calling her to the end of your list.” Mom had become superfluous in her busy life, a solid presence who was always a little bit of an enigma. The two adult children – and their father – realize, too late, that Mom was an integral part of existence. Father thinks, “When she planted seedlings of eggplant, purple eggplants hung everywhere throughout the summer and into the fall. Anything she touched grew in bounty.” Still, he selfishly ignores her intense headaches and the heartbreaks that Mom is forced to undergo alone. Please Look After Mom is a novel that’s distinctly Korean –ancestral-rite tables, the Full Moon Harvest, plum juice and steamed skate – but is also very universal. Every view is explored – Chi-hon and Father’s stories are in second person, Hyung-chol’s is in third person and Mom’s is in first person. And, while the second person tense can become a little cumbersome, the writing is still direct, moving, and graceful. البيت الذي يفقد "الأم" يفقد الركن الذي تستند عليه أساساته ..
-يا ترى هل نحتاج إلى صدمة عنيفة لندرك إلى أي ركن نستند؟! هذه الرواية تحاول نقل شعور الضياع الذي يعتري الأبناء لحظة فقدان "الأم"، الألم، الذكريات .. كل شيء يتداعي أمام القلب التائه .. الكثير من الندم والإحساس بالتفريط تجاه ذلك الماضي .. وخزات متكررة تجعلك لا تنسى التفاصيل ولا تفر منها بل كل شيء يغدو بثقل الدنيا على صدرك المنهك ..
-ماذا لو فقدت أغلى إنسان لديك ؟! -هنا فقط يمكنك أن ترى بوضوح .. حتى لو أغلقت عينيك مراراً وتكراراً ..
‏‏البيت الذي يفقد "الأم" يفقد الركن الذي تستند عليه أساساته ..
‏‏-ماذا لو فقدت أغلى إنسان لديك ؟! أو على الأقل أن تمسح بكلمة طيبة آثار المعاناة التي تركت خدوشها في أعماق روحه؟!. -للأسف!، غالباً في الوقت الذي لم يعد هناك مجالاً للإصلاح ..
في الحزن والألم .. تفقد المعاني معانيها، والألوان تعددها، والأفكار أبعادها .. وتضيع خلف توهاننا ونسيانا للذات .. وأفضل طريقة للهرب هي "جلد الذات" وفوق كل ذلك لا شيء يجدي. "أمي" حقيقة وأنا أكتب هذه الكلمات .. هي معاناتي الأولى وحبي النقي رغم المسافات بيننا، رغم إحساسي بالغربة القديمة عنها .. هي أمي الذي لا ينفك عني و ويغمرني رغم كل شيء إحساس الطفولة بكل بعثرتها وتشتتها ..
أحياناً تتملكني الرغبة في أن أكون أخرى لأرضي رغباتها، لأصبح مقاساً ملائماً لتطلعاتها .. ولكن لا تنفك عني طبيعتي المختلفة فأعود كما "كنت" .. بل كما "أنا". ‏‏كم تقاسي تلك المرأة التي تكتم آلامها كالسر القاتل، ولا تبوح بها خوفاً أن تجرح قلب غالي .. وذلك القلب لم ينتبه لاستغراقه في أنانيته وعدم قدرته على الرؤية إلى أبعد من أنفه. حينما نذوب في الأنانية .. أول ما يخطر على بالنا بعد تخفف سكرتها كم كنا بعيدين عن الرحمة، التضحية، والسمات النبيلة التي كانت تنصع في غريزة تلك الأم والتي تحارب من بداية استيقاظها وحتى نومها العميق بل حتى موتها .. لأجل من تكفلت برعايتهم في هذه الحياة!. ‏‎‏لا تتركني فأنتِ الكون أجمعهُ ! Kyung Sook Shin’s “Please Look After Mom,” winner of The Man Asian Literary Prize was a deeply affecting, tear-jerker read. I cried so hard reading this book, I do not recommend you read it in public and make sure you have a box of tissue handy. Simple in prose, it wasn’t necessary that the writing in itself was good, but what the book was about that made the novel good. Although set in South Korea, this book will undoubtedly resonate with many people because of its universal theme — family, motherhood, love & loss, tradition, and familial obligations & duties. I think that is why the novel did so well worldwide. simple in prose & bit slow burner, but deeply affecting & poignant and well-observed family dynamic & Korean culture, the novel is told in 2nd person narrative by four voices — daughter, son, father, and mother, after Sixty-nine-year-old So-nyo (mother) got separated from her husband among the crowds of the Seoul subway station. They were on their way to visit their children from the countryside, and told the kids they’ll find their way to the eldest son’s house on their own because none of them could meet them at the station. What follows is each character’s heartbreaking confession, guilt, misinterpretation, miscommunication, and frustration — not picking up their parents at the station, reflecting back on the sacrifices the mom/wife made for the family, not being a better daughter/son/husband, not acting on what mom asked or not to do, and ultimately, not knowing who mom really was. بعض الروايات بعد الانتهاء منها نحتاج للتوقف للحظات لاسترجاع كلماتها ومعانيها ، هالرواية كانت فريدة من نوعها ، كانت تستحق اني ابكي بعد الانتهاء منها . الله لايحرمني من امي والله يحفظها لي هالرواية خلتني اراجع حساباتي وحركاتي . الملاحظة الوحيدة عليها هو اختلاط بعض الشخصيات فما اعرف من الي يتكلم حاليا . "بعد أن اختفت، أصبحت حاضرة في حياتكم، وكأنكم تستطيعون مدّ أيديكم إليها ولمسها"
الرواية جميلة بفكرتها التي تلامس القلب...ولغتها الشفافة التي تستنزف المشاعر...واستخدامها لصيغة المخاطب فتجعل القارئ واحدا من شخوصها، وتشعرك في كل لحظة أنك المعني. كم شددتِ مئزر الصبر لتغدو حياتنا أجمل!! وكم زملتني دعواتكِ لما ضاقت بي هذه الوسيعة!! كنت قبل زمن ليس ببعيد من الذين لا يحبون قراءة الروايات، بحجة أنها لا تفيدنا بشيء جديد، أو لا تزيد شيئاً على معرفتنا العلمية. ولكن بعد عدد من الروايات "المتميزة حقاً، وليس كل الروايات طبعاً!" أيقنت أن هناك أموراً لا يمكن لغير الرواية أن تعلمنا إياها. الرواية جميلة جداً جداً، وأسلوب الكاتبة متميز حقاً، لأول مرة أقرأ رواية بهذا الأسلوب الكتابي، لست أدري ماذا يسمى، ولكنك تشعر وكأنك المخاطب دوماً على لسان كل من شخصيات القصة. ستتعلم الكثير منها، وستوقن أن هناك الكثير الكثير من الأمور التي يمكن أن تقوم بها تجاه أطهر مخلوق على وجه الارض وأعزه على قلبك، أمك! 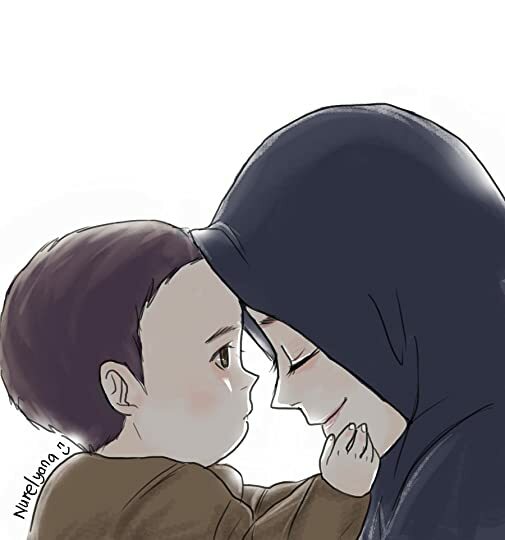 رعاها الله لك ولي :) آمين. الم تكن دوما تجيبني انا بخير ..
Kyung-Sook Shin is a South Korean writer. She is the first South Korean and first woman to win the Man Asian Literary Prize in 2012 for 'Please Look After Mom'.